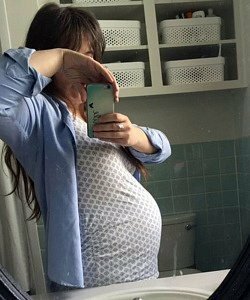 Read about twin pregnancy symptoms from week 15+0 to 15+6. 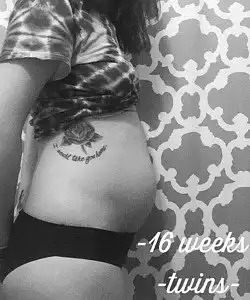 Look at belly and ultrasound pictures of being 16 weeks pregnant with twins. 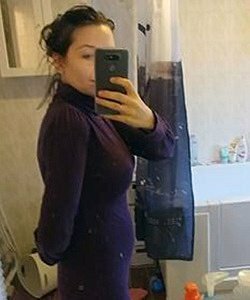 When you’re 16 weeks pregnant with twins you might experience movement soon. It can happen anytime between week 16 and week 22. It depends very much on the position of your placenta(s). If the placenta(s) is located in front – against your belly – it may cushion the movements of your babies. 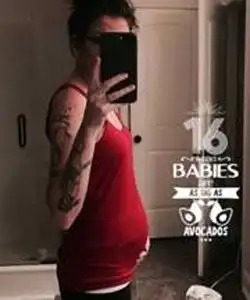 This will make it harder for you to feel your babies move. 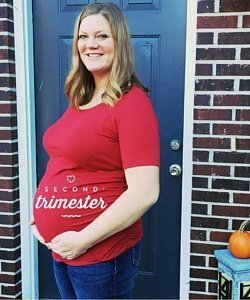 Round ligament pain is a common twin pregnancy symptom at 16 weeks pregnant with twins. 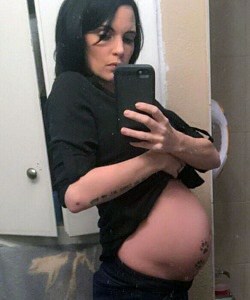 Your uterus is growing rapidly. Before you got pregnant, your uterus weighed between 50-100 grams. At birth it’ll weigh around 1 kilo. You might feel this growth as pain or tenderness in your abdomen. That is what is referred to as round ligament pain. It’s completely normal and nothing to worry about. You may experience increased pigmentation. 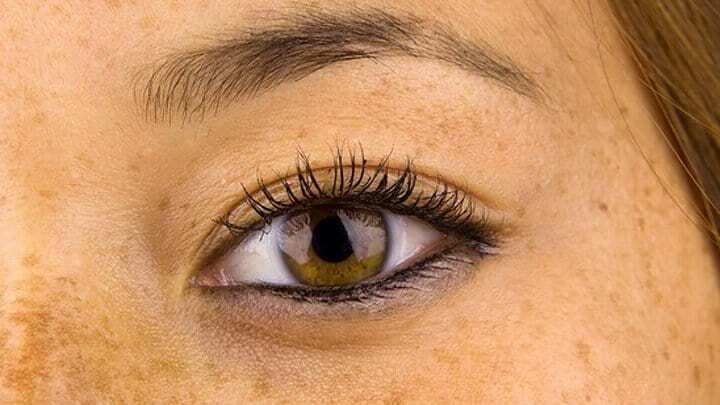 Many pregnant women get increased pigmentation which result in lighter brown spots on the skin – especially in the face. This is due to an increased hormone production. To avoid this, you should abstain from sunbathing and wear sunscreen. Sunbathing increases the risk of pigmentation. Most often the spots will disappear or be reduced after birth. 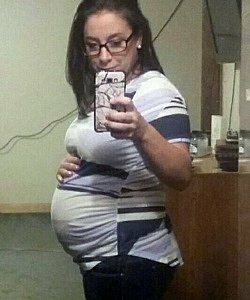 Your twins are approximately 11,5 cm (4.53 inches) from head to rump when you’re 16 weeks pregnant with twins. If you’re expecting a girl (or two), her ovaries at this stage of pregnancy will move from the abdominal cavity and into the pelvis. The ovaries will already contain all the eggs a girl will ever get. In a few weeks – if you’re expecting boys – their testicles will start the journey from the pelvis to the scrotum. They have already formed primitive sperm cells. Your children now have apparent nails. Sometimes they get the hiccups by drinking amniotic fluid. 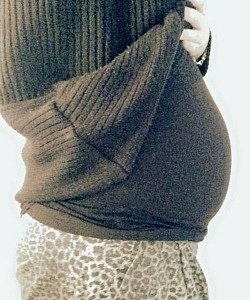 You can’t feel this yet but might later in your pregnancy once your children are bigger. 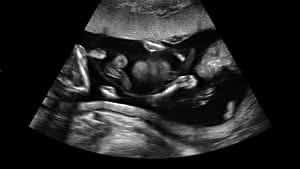 You may be able to tell the gender of your twins if you get an ultrasound scan at 16 weeks pregnant with twins. 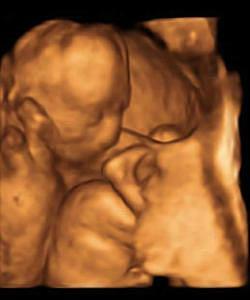 The pictures below are of identical di-di twins at 15+1 weeks. Di-di twins have separate sacs and placentas. About 1/3 of identical twins are di-di twins. All fraternal twins are di-di twins. 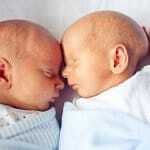 The pictures below are of identical di-di twins at 15+1 weeks. 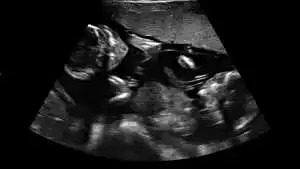 It’s the same set of twins as the ultrasound scan pictures in 2D. 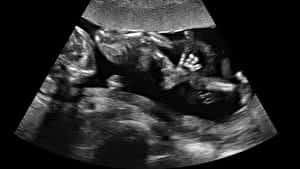 A regular 2D ultrasound creates a cross-sectional view of your babies. 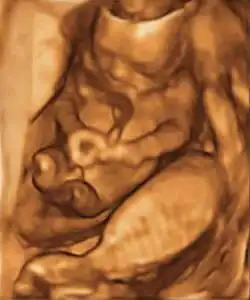 In a 3D ultrasound, many 2D images are taken from various angles and pieced together to form a three-dimensional image. 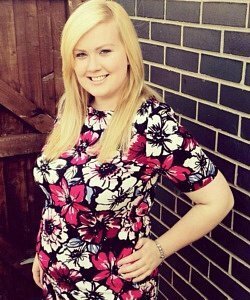 Remember to stay as active as possible and take iron supplements if your doctor or midwife recommends it.